← Enjoying my new surroundings! So we’re in. Well, we have keys and a mortgage but we’re living down the road while the mucky jobs get sorted. We’ve been having fun filling a skip with hideous fixtures and fittings. 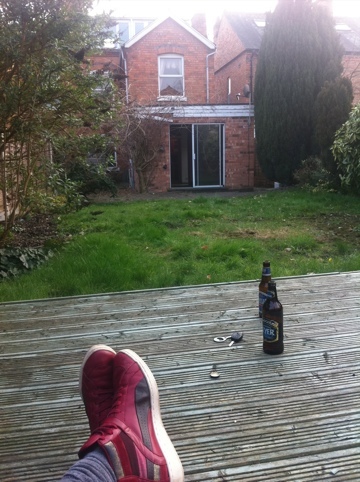 Here I am enjoying my first beer in our new garden.